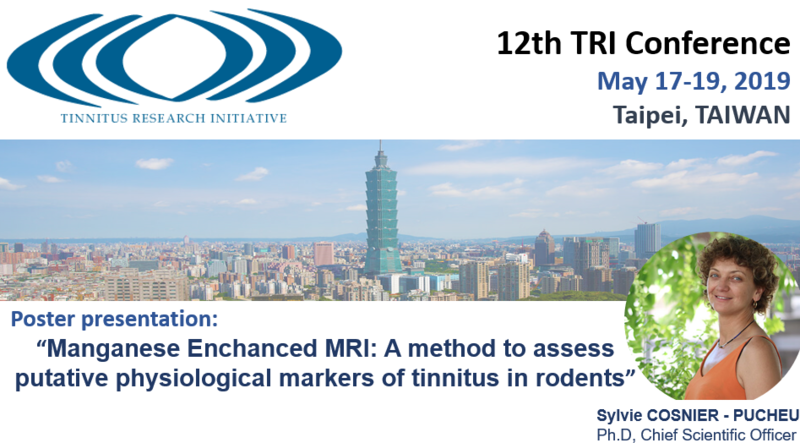 CILcare will be attending the 12th conference of Tinnitus Research Initiatives on May 17-19, 2019 in Taipei, Taiwan. Meet Sylvie COSNIER-PUCHEU, CSO, to learn more about our services in the field of hearing and discuss how we can best support your drug development in hearing disorders. Join our poster presentation describing Manganese Enchanced MRI: a method to assess putative physiological markers of tinnitus in rodents. We will be pleased to present you our poster ! The conference will be the first TRI in Asia, and will maintain its tradition as a platform of cutting-edge for scholars with different backgrounds who are interested in tinnitology. The major theme of this year is “A Renaissance: Novel Concepts in Tinnitus”, which will cover a wide range of interesting and challenging aspects of tinnitus.